In honor of National Pie Day, Morning Pointe of Tuscaloosa (AL) Food Services Director Marsekia Hollins made 50 buttermilk pies to be distributed throughout the greater community. 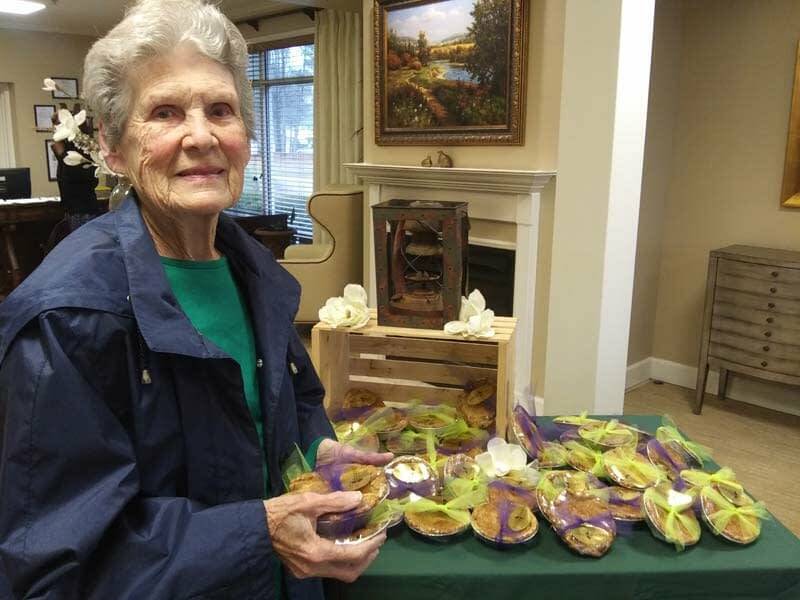 While some community members picked up their free pies at the assisted living and Alzheimer’s memory care community itself, Morning Pointe residents braved the rain to deliver pies to several doctors’ offices, the Northport Police Station, the Northport Fire and Rescue Squad, Flatwoods Elementary School, and Forest Manor Rehab. Both Flatwoods Elementary School and Forest Manor Rehab have ongoing partnerships with Morning Pointe. The residents of Morning Pointe of Tuscaloosa are always up to something! To follow their adventures, visit the Morning Pointe of Tuscaloosa homepage at www.morningpointe.com.